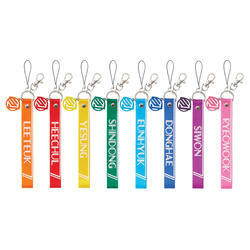 Super Junior (スーパージュニア) or 슈퍼주니어 is a Korean k-pop boy group. In commemoration of their 4th world tour titled: Super Show 7 in which Super Junior will make an appearance in the Tokyo Dome for the first time in 4 years on 11/30/18 & 12/1/18 plus their special mini album “One More Time” that released in October a special pop-up café and shop will be held! Please be mindful of crowds when visiting this café and follow staff directions and be careful as to not cause any disturbances. The official site warns of behavior due to expecting crowds and poor behavior can result in consequences. 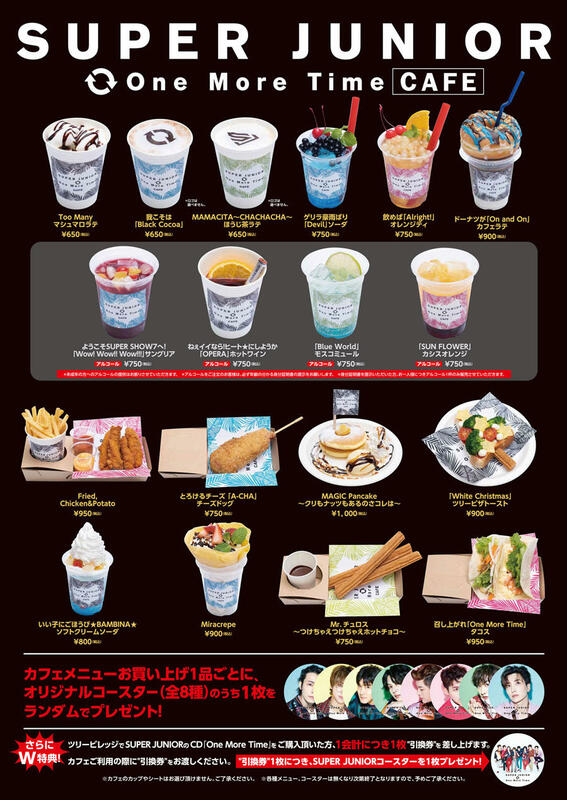 Customers who order off of the Super Junior collaboration menu will receive an original coaster (1 out of 8 designs) at random per order while supplies last. 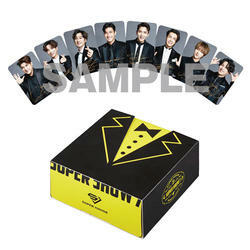 Some select goods are exclusive to ELF-Japan members so when purchasing you must present your membership card. Please be advised.